Working as a professional wedding photographer is very demanding. Not only a wedding day can last up to 12-14 hours and requires lots of energy and stamina but post-processing the images can take as much as four times the time if takes to capture the images. It is not unusual a wedding photographer to capture up to 2,000 to 4,000 images on a wedding day. All the images then have to be downloaded, cataloged into Lightroom or other image editing software, culled and edited. The culling part is the one which I found to be about 25% of the time required and the one which wedding photographers dread the most. Over the years I perfected the ways to make this process easier and speedier by using few simple techniques. In this article, I would like to share some of these techniques and methodology. The tips are generic and not only wedding photography related. I also use them for my portraiture, landscape and wildlife photography images. The techniques are also strictly Lightroom related although there are many more time saving ideas one can use. I hope to cover these into some of my next blog articles. 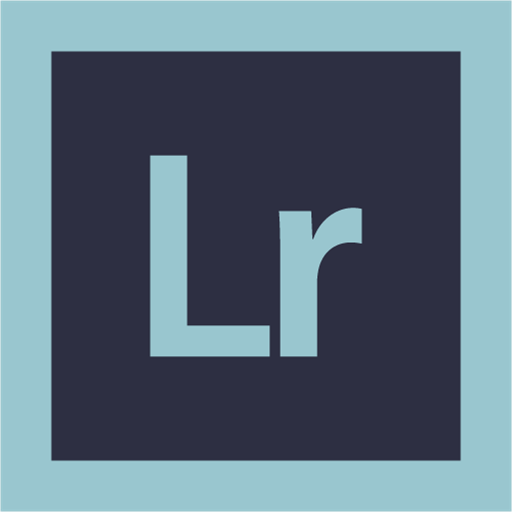 So let’s start reviewing the top 10 tips for culling and processing images in Lightroom. This is the most important time saver you can apply to your post-processing workflow as a wedding photographer. Having a structured and consistent way to sort through the images and organize them quickly would save you lots of time and efforts. The idea is to cull and rank images only once and then work with the different buckets of images you already ranked. Doing multiple passes through the images is a time drain and can quickly increase your work backlog. So come up with a ranking on your won, or use the one below and while culling the images in Lightroom. The ranking includes assigning number of stars ( from 1 to 5) and then grouping and editing images based on their rating. When trying to decide between multiple similar images and pick one final, it is very helpful to see them side by side. The “Shift + N” shortcut allows you to do that. The key is to let go off your desire of keep every image just because you might like it or need it later. If you don’t like it in the first place and you already have the best image identified, forget about the rest. Pick the best and move on. Your time is valuable and there is a 99% chance you will never have the time to go back and look at this “may be” images. 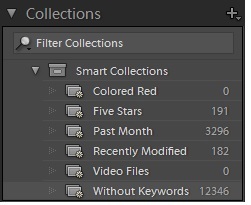 Lightroom allows you to add keywords to images so you can later search for them easily. For example, if you are writing a blog about wedding at Corinthian Grand Hall in San Jose, add “corinthian”, “san jose” and “wedding” into the images. You can later pull all related images and easily pick the images for your blog. Or to send to a potential bride as an example for a wedding you photographed there. And here is an easy way to find out which images not yet have keywords. In Library mode, open the “Collections” drop-down menu and click on “Without Keywords” menu option. You will load all images without keyword. Go through them and add keywords. This one doesn’t actually speed up your post-processing but it is a good practice to follow. During import, you have an option to copy the RAW files to secondary hard drive for backup purposes. I use a portable WD Elements external hard drive to copy all my RAW files during download. If anything happens to my DNG files or computer storage arrays, there is always a RAW file copy to start all over. As a wedding photographer, you cannot afford to lose any RAW file for your clients. And with storage cost so low nowadays, the effort to have a backup compared to the time and cost it might take to recover failed disk, is well worth your time. DNG is a digital file format by Adobe which reduces the size of the camera manufacturer’s RAW files and saves you space. The savings come from reducing the metadata stored with the raw images, metadata which most photographers never need or use. The savings add up and you can use your disk arrays to store more images. Modern DSLR cameras capture digital images in high resolution and file sizes for RAW files can exceed 20 MB each. Overtime this adds up to lots of storage required to store the digital images. Press: Ctrl + Backspace . Choose “Delete from Disk”. If you choose “Remove” Lightroom would only remove the image metadata from its catalog but would leave the digital file on disk. Overtime this would cause orphant files and disk space waste. Larger Lightroom catalogs tend to slow down the startup time and also pose a greater risk when becoming corrupted. A good rule on thumb is to split your catalogs into smaller catalogs and don’t end up with one huge catalog. Some photographers create catalog for each new client, but frankly this might be way too much overhead. A better approach might be not to let your catalog grow with more than 12,000 files. As you deliver the images to your clients, backup the RAW files as catalog or simply export the final images you already delivered on DVD or cloud storage and keep the RAW files you plan to later add to your portfolio. This way you can always create another DVD or USB flash drive for your clients and also have the highest quality digital image to create portfolio images. Wedding photography business it time intensive and laborious process. Optimizing your digital editing workflow and using time savings strategies would help you spend more time capturing amazing images and less time processing them. It doesn’t take much to do that and with employing the techniques listed above you can be more efficient and reduce the time required for editing of your wedding images. I hope you found this article useful. If so, feel free to share with anyone who is planning to get into the wedding photography or would be interested. The wedding photographer’s community would be stronger and more successful if everyone helps the others to become better photographers. Categories: Topics for Wedding Photographers | Tags: cataloging, culling, lightroom, Photography, photos | Permalink.